There are several campgrounds in Pismo Beach and many require reservations made in advance. Or, you could always find somewhere secluded to pitch a tent! Pismo Coast Village RV Park: Ranked #1 in best places to camp, this is my favorite place to stay. 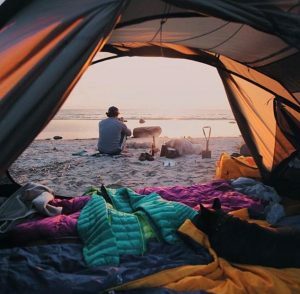 With full hookups, you won’t even feel like you’re camping! Pismo State North Beach Campground: Located right on the beach, Pismo State Campground is perfect for tent campers, and even tourists with trailers. Dogs are allowed, and there’s free wifi! 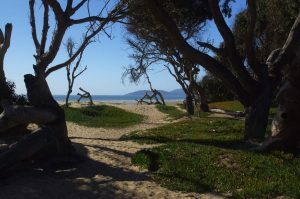 Pismo State Oceano Campground: While this campground is ranked well on virtually all travel sites, a little research tells me that this campground has fallen into a state of disrepair. It’s best to stay away from this campground! 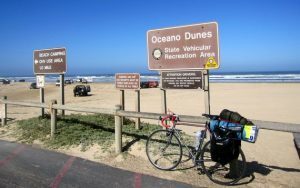 Oceano Memorial Campground: Although some reviews claim that this campground could use a little TLC, we stayed here a few years ago and we loved it. There’s nothing like staying at a cabin directly on the beach! North Beach Campground: This is where we are staying, and I was so excited to book our trip based on the photographs alone! All campers have to do is cross a path to access the beach. There’s free wifi, and even a beach-side snack bar. Yes please! -Some form of shelter. We always camp in tents, but it’s up to you! -A tarp or a tent “footprint” to help reduce the amount of sand drug into your tent. -Blankets, beach towels, and an umbrella to keep the sun off of your back. -Food and water. Because you’d be downright miserable without it. -Swimsuits and enough sunscreen for everyone camping. -Flip flops, Tevas, or other water shoes. Campground bathrooms are disgusting, and who wears tennis shoes on the beach? -Furry friends are welcome, but must always be on a leash. -Fires are permitted–in designated areas. -Camping is not permitted in some areas on the beach–ask a park ranger to clarify for you, or you could end up with a hefty fine! -Check out the monarch butterfly grove for waves of orange that you won’t forget. -If you have a future palentologist on your hands, take them to the Dinosaur Caves Park. -Take surfing lessons or try your luck on a stand up paddle boards! 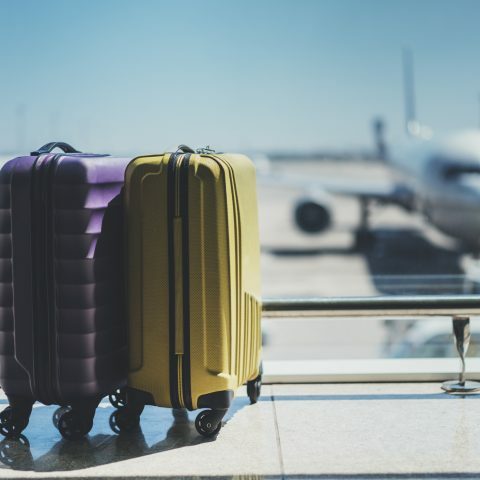 -I like to stay away from malls on vacation, but if shopping sounds fun for you (and if you lost your beach shoes) check out Pismo Beach Premium Outlet Mall.